has resigned after having preceded over decades of economic ruin and political repression. Lady Grace Mugabe succeed him should he die while in office. them were from Nkomo’s Ndebele tribe. despised for the way he held on to power. Zimbabweans of course have the army to thank. 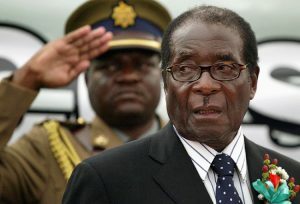 over the weekend and Mugabe would have still been in control of the party and country.